Before I begin this review I have to admit to being the type of ‘non-specialised sceptic’ who Andrea Baldini criticises in the recent Un(Authorized)//Commissioned book. The publication he writes in can be regarded as a curators guide to exhibiting graffiti. This is not a topic that would usually appeal to me so, not being a particular expert nor a lover of art-galleries, I approached the book with mild cynicism. However the book brings up some interesting ideas that are worth discussing and has changed my opinion to some extent. 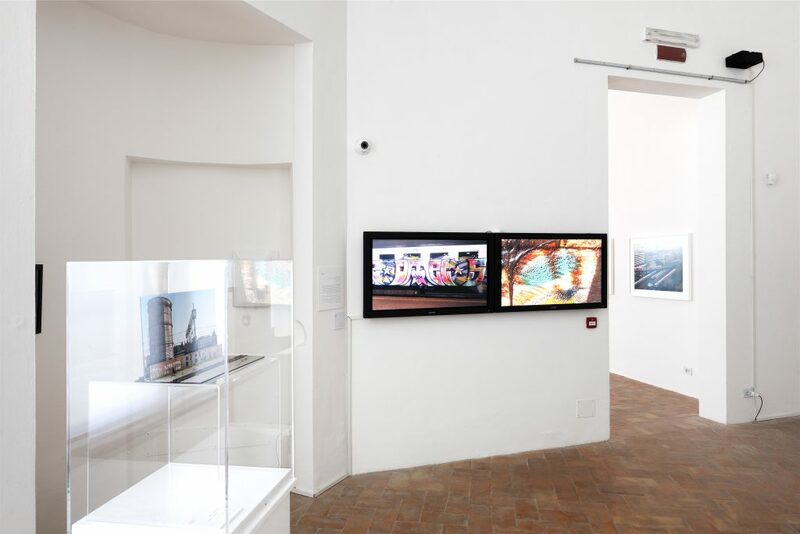 Un(Authorized)//Commissioned actually came about following the 1984: Evolution and Regeneration of Writing exhibition held in Modena in 2016. The exhibition, curated by Pietro Rivasi, aimed to set a new precedent in the way graffiti is displayed within institutional spaces. Rivasi broke with established fine-art modes of display and instead focused on how to represent the graffiti on its own terms. This meant doing away with canvasses or pieces ‘reclaimed’ off the street and using photography and video instead. In the first part of Un(Authorized)//Commissioned Rivasi uses his exhibition as a guide to how graffiti can be exhibited appropriately. Through the second essay in the book Baldini provides the theoretical underpinning to this approach. Where Baldini becomes contentious is his assertion of the photograph as the original artwork and, in fact, primary mode of viewing graffiti. While he accepts that “we sometimes appreciate tags, throw-ups, and pieces ‘live’” actually “the medium that is relevant to appreciation does not include things like the wall, train, paint, and techniques to produce an example of graffiti, but photographs, videos, and other varieties of technology…” It may well be that in the modern digital age more graffiti is viewed as photos or videos than on actual walls. However to state that a train or a wall is not even relevant is bewildering. Baldini’s argument, that the photograph itself can be considered the original piece of art which is a snapshot of the ‘performative’ aspect of graffiti, is something the influential critic John Berger also considered. In Understanding A Photograph Berger describes a photograph as a record of the event it captures. 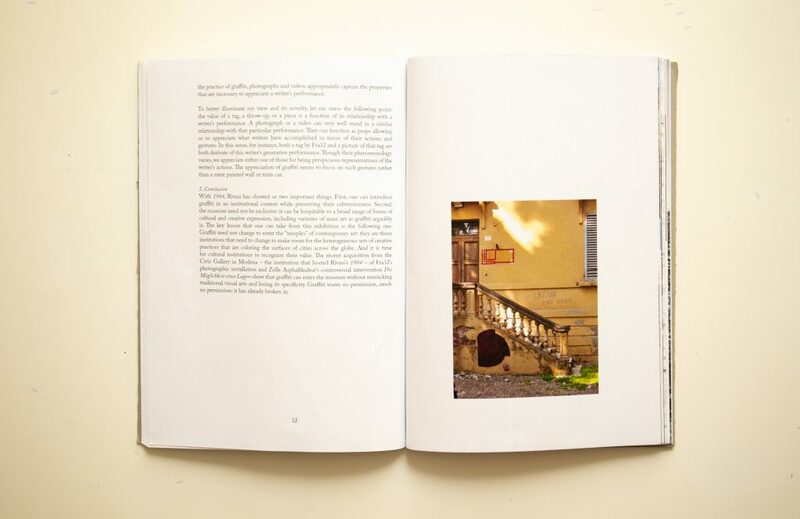 He writes that “all its references are external to itself’; put simply what is important about a photograph is the viewer’s understanding of its context. So when Baldini describes a photograph as a “representation of the writer’s performance” he stresses that the graffiti, like the photograph of it, is merely one part of the whole graffiti action. What I mean by this is that while a photograph displayed in a gallery can reveal contextual information it has limitations. When the photographer captures the image they do so in a particular time and place. Whoever then views the photograph can only understand the image using whatever experience or background knowledge they have. However the setting of a gallery has its own specific context in which art will be viewed. Here I think the essay ‘From the Street to the Gallery’, by Alexandra Duncan, is useful. Her article is from an academic book called Understanding Graffiti. Duncan’s contribution is about the inseparability of graffiti from its context, and more specifically how this context changes in a gallery space. The gist of her argument is that a gallery is a ritualistic space in which specific behaviours and states of mind are created that are at odds to the practice of graffiti. Duncan writes that “graffiti function as a democratizing form of communication in the open air of modern cities and towns. 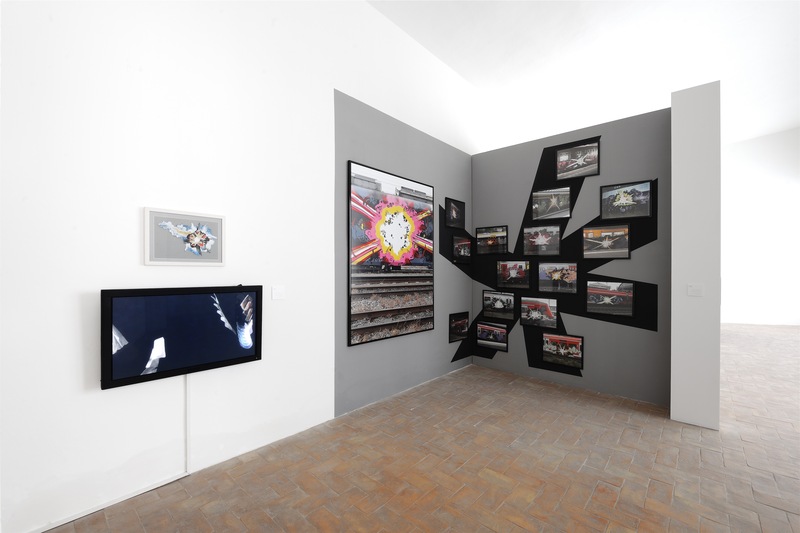 It is also essential to recognize the differences in audience interaction with imagery on the street and in a gallery, which is characterized by hierarchical systems of judgement and valorization.” I think this is where Baldini’s argument falls short. While he argues that by displaying original photographs the ‘rebelliousness’ of graffiti is retained he forgets that, in practice, the graffiti is being viewed in a completely different context. Ultimately Rivasi aims to have illegal graffiti displayed authentically, on its own terms, as proper art. Recognising the importance of photography for recording and viewing graffiti means that his methods, in theory, are not too dissimilar to the millions of digitised images that are curated on the internet. 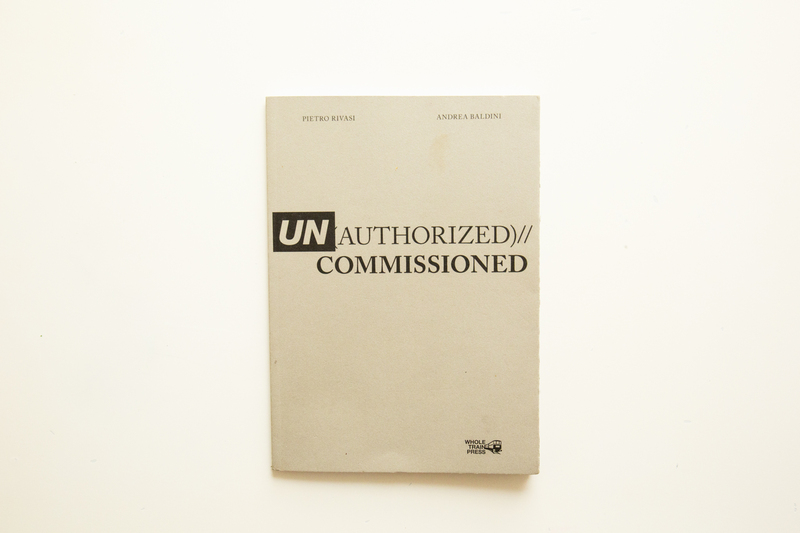 Coming from an initially pessimistic view of the book’s subject I think Un(Authorized)//Commissioned sets out some complicated but well thought out ideas. The commercialisation of street-art and the opening of new museums, like Urban Nation, means it can only be positive for Rivasi and Baldini to try and set out an alternative to how graffiti will, in turn, be displayed in such institutions. 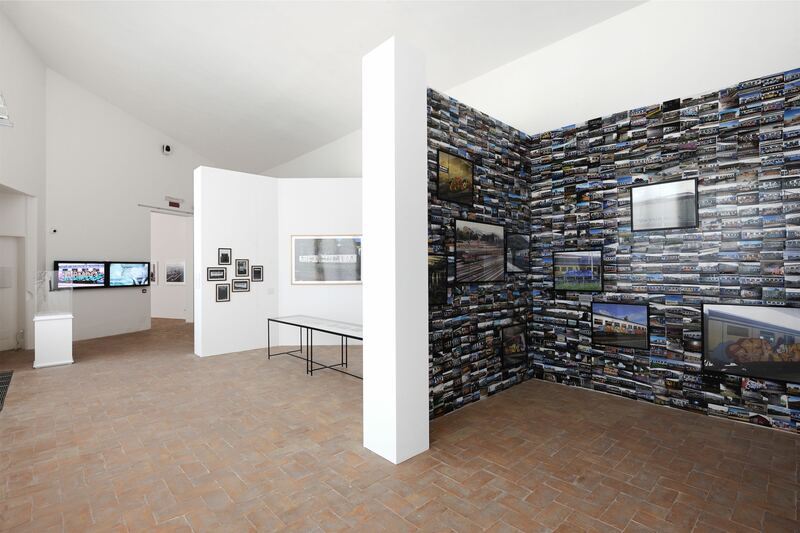 The photographs of the 1984: Evolution and Regeneration of Writing exhibition were taken by Paolo Terzi.